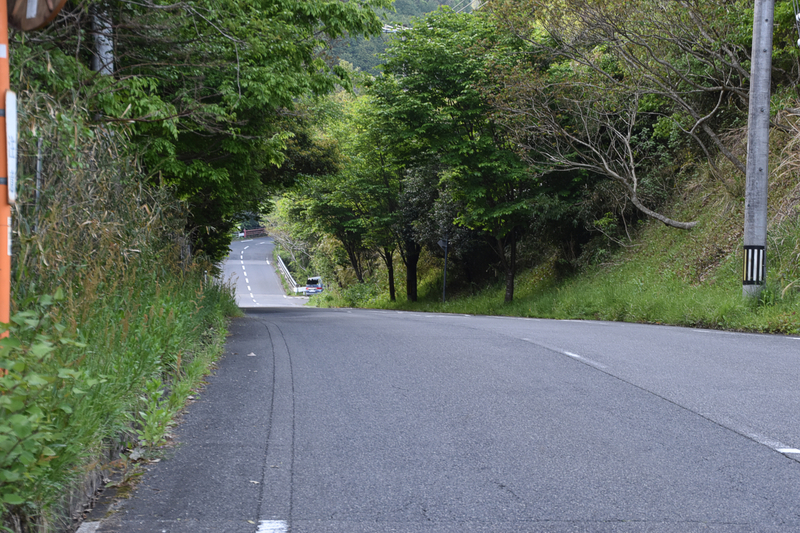 The middle slope appears to be a descent, but it is actually an ascent. 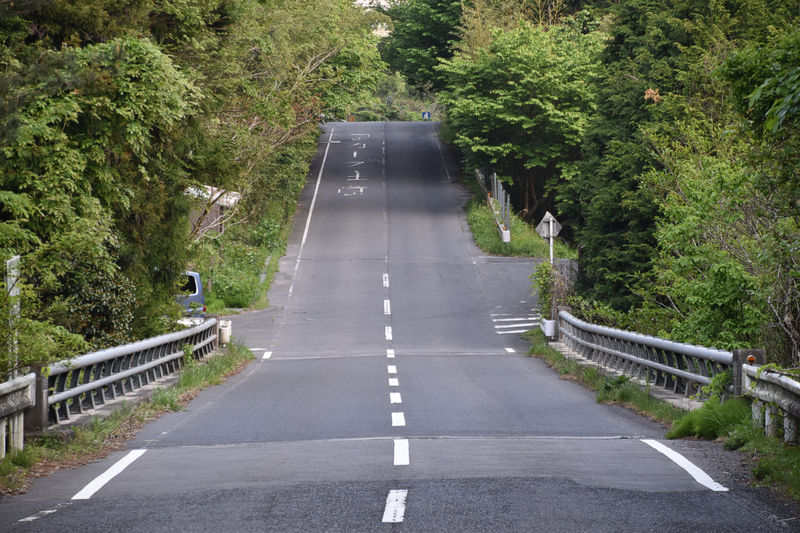 The closer slope appears to be a descent, but it is actually an ascent. 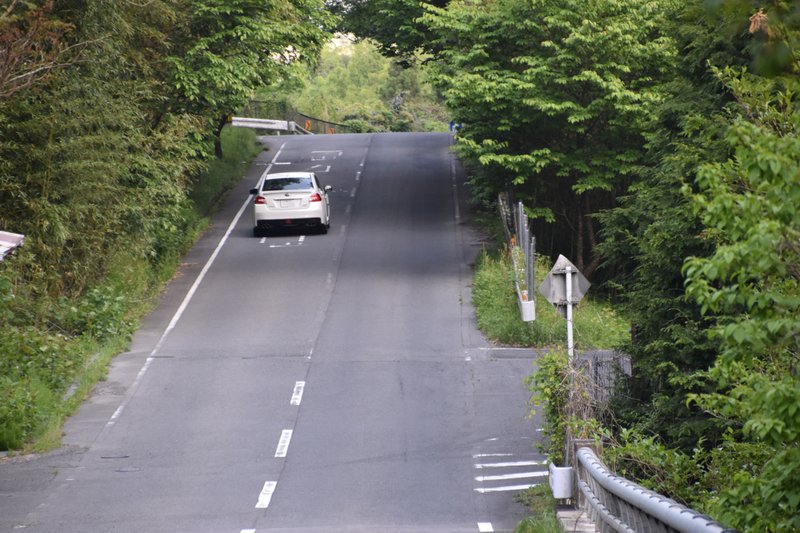 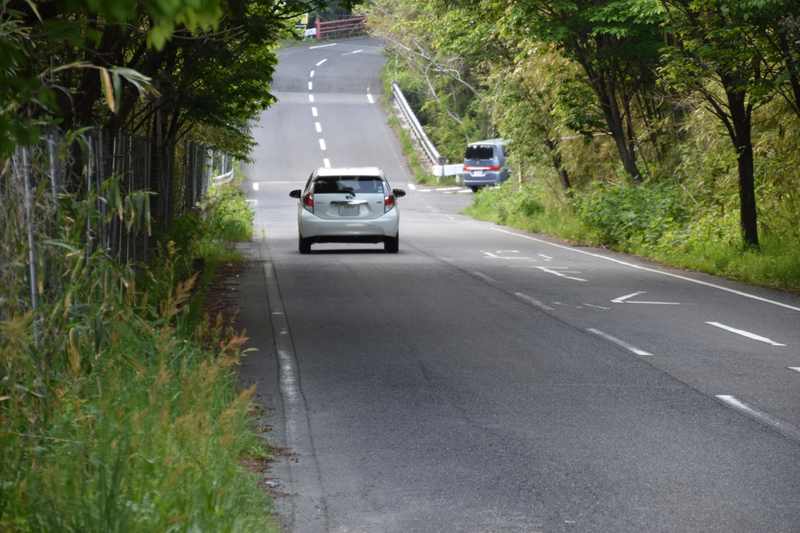 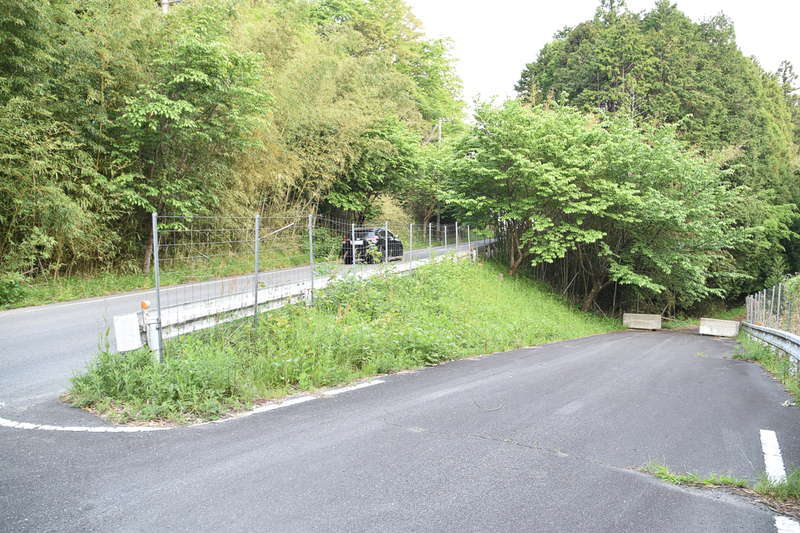 The white car appears to go down on a descent, but it actually goes up on an ascent. 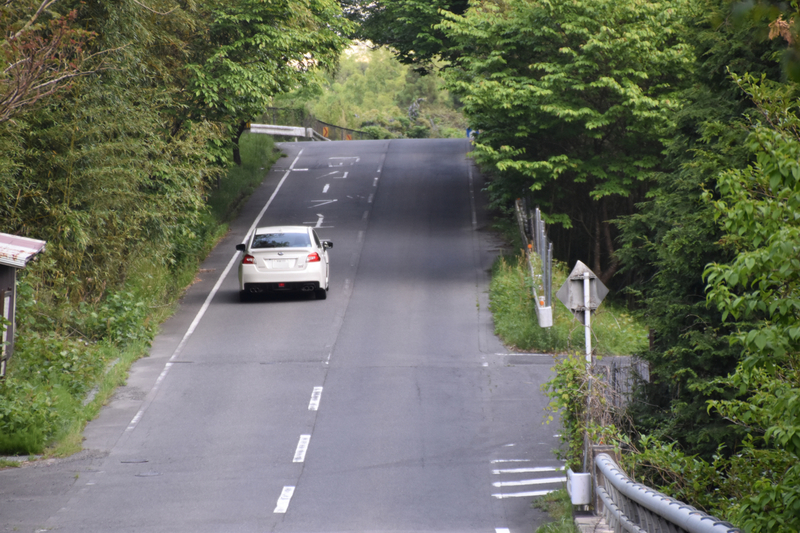 The black car appears to ascend on an ascent, but it actually descend on a descent. 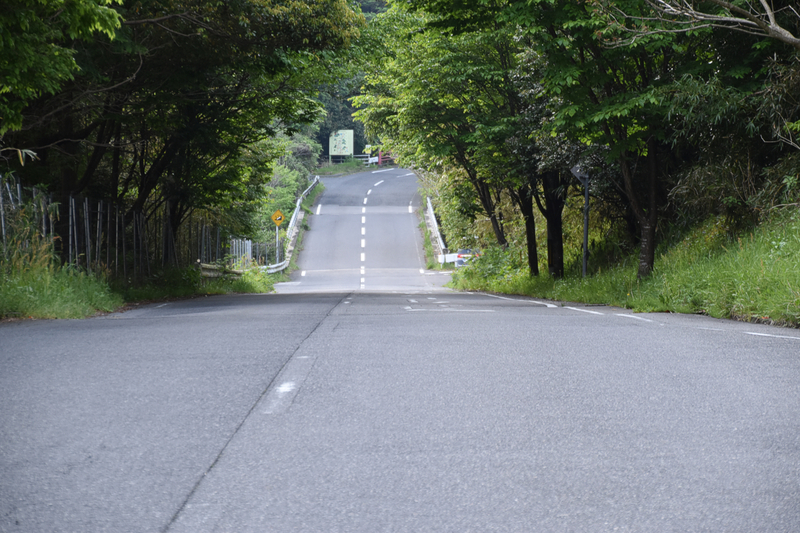 The left road appears to be an ascent, but it is actually a descent. 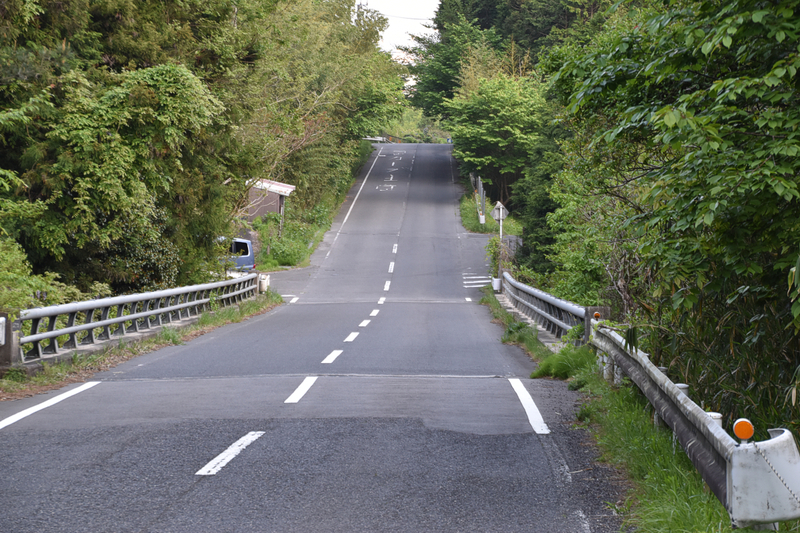 This road appears to be an ascent, but it is actually a descent. 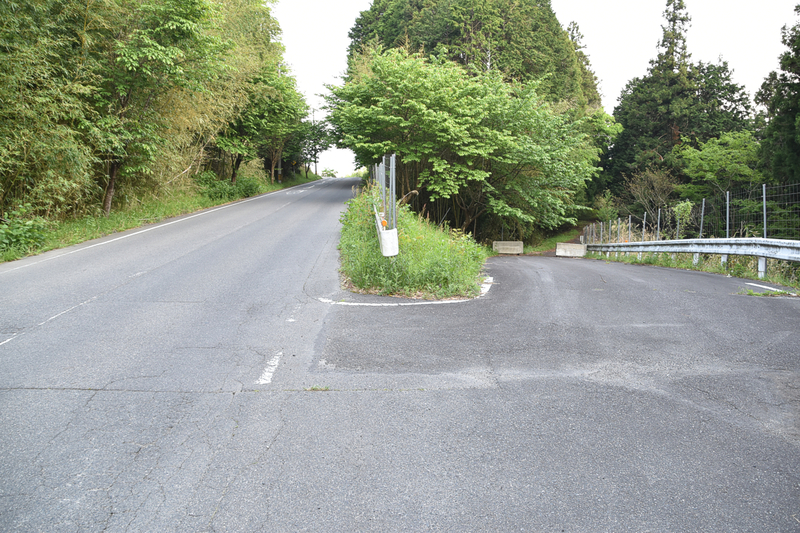 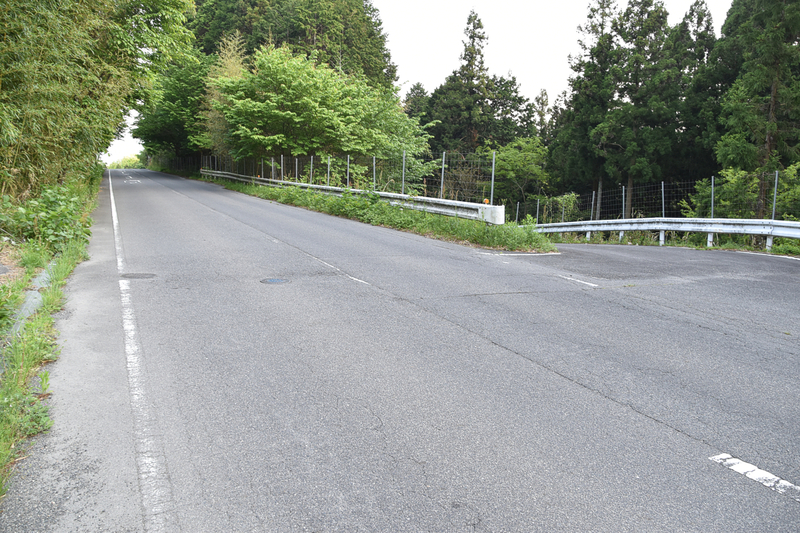 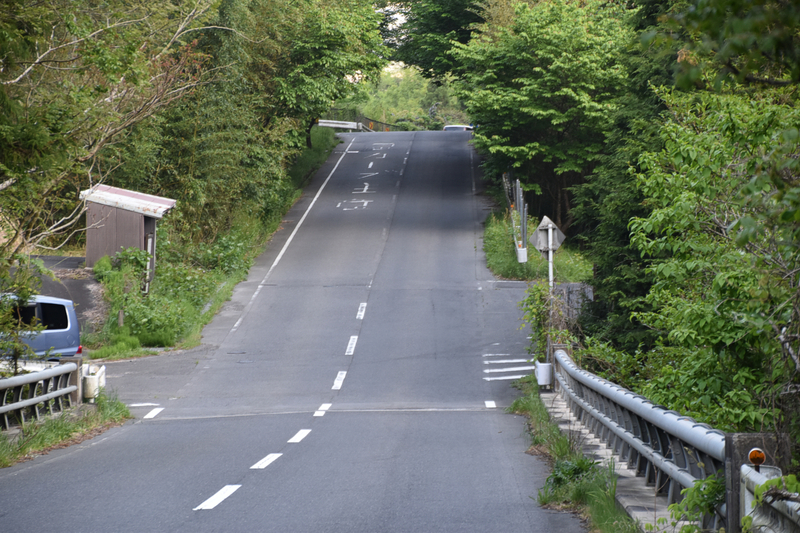 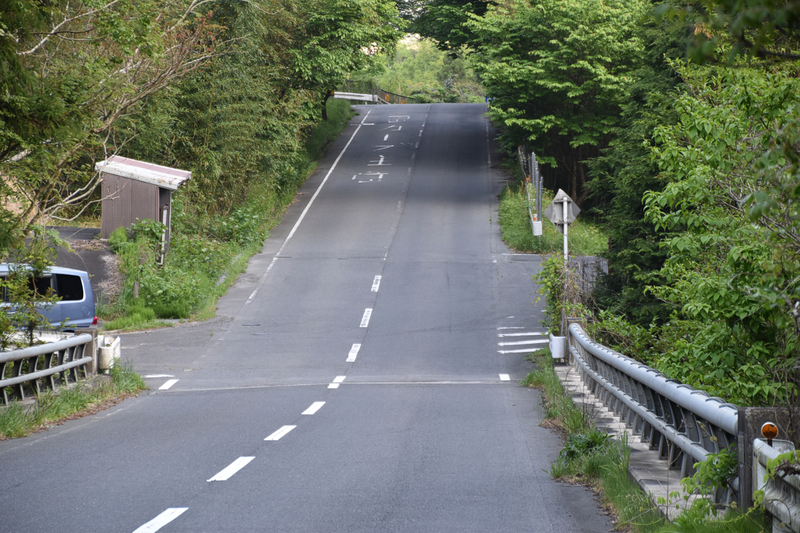 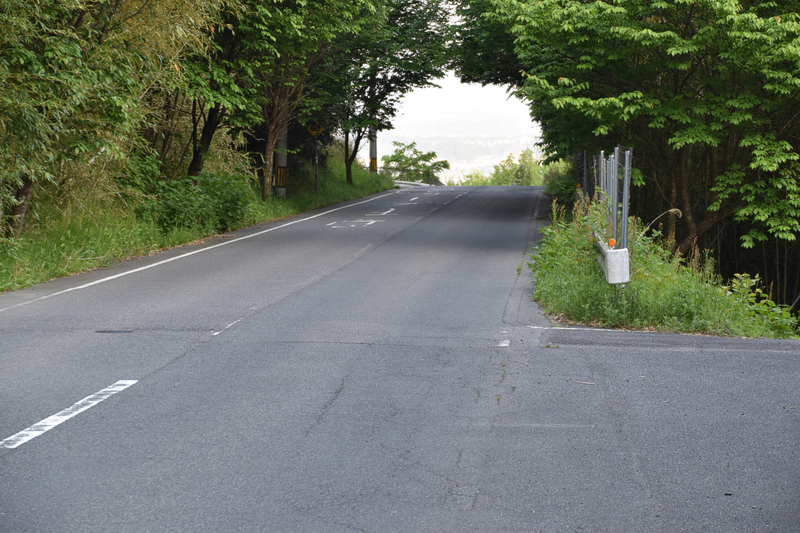 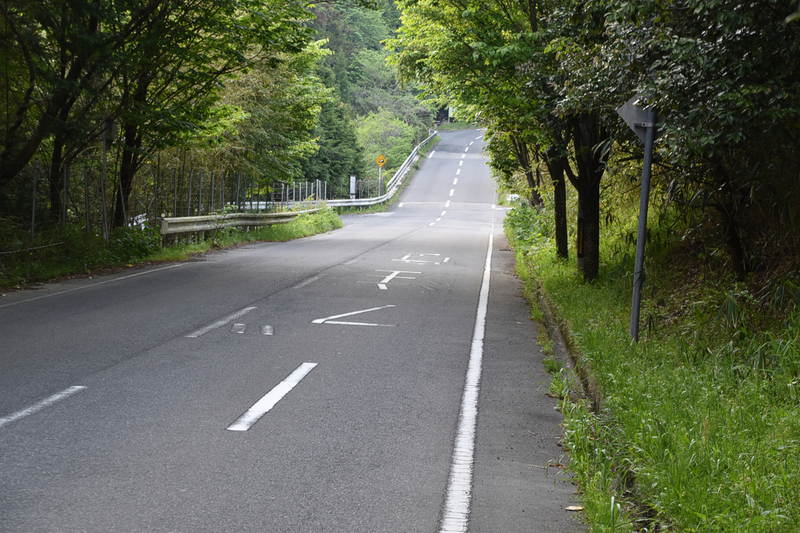 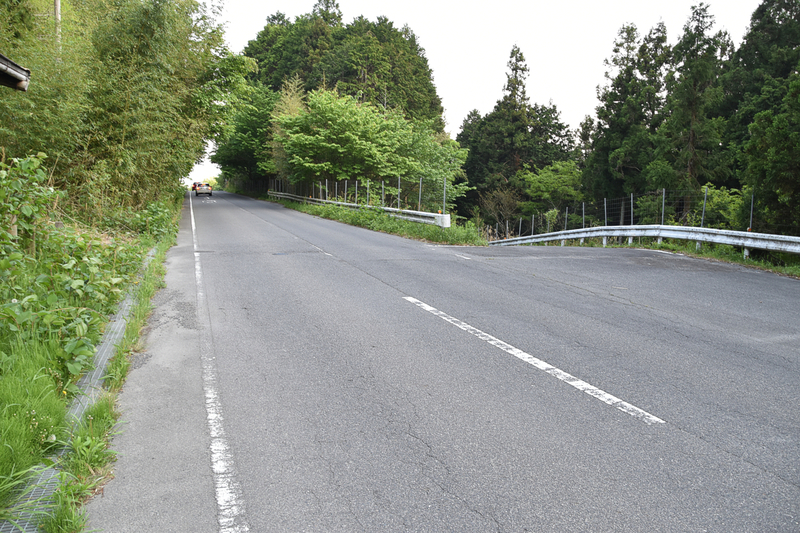 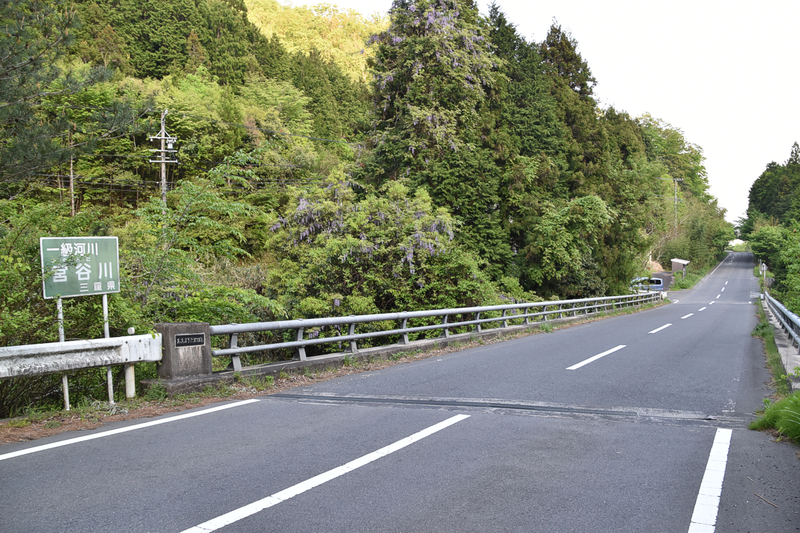 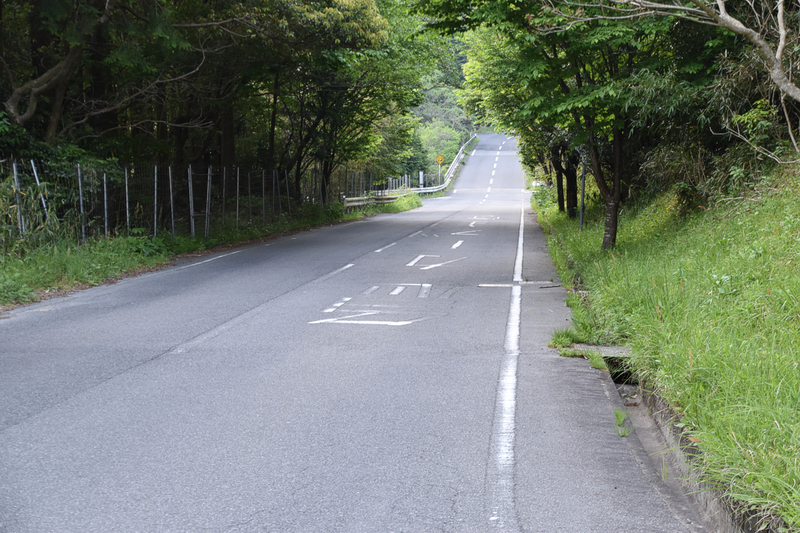 The farther part of this road appears to be an ascent, but it is actually a descent. 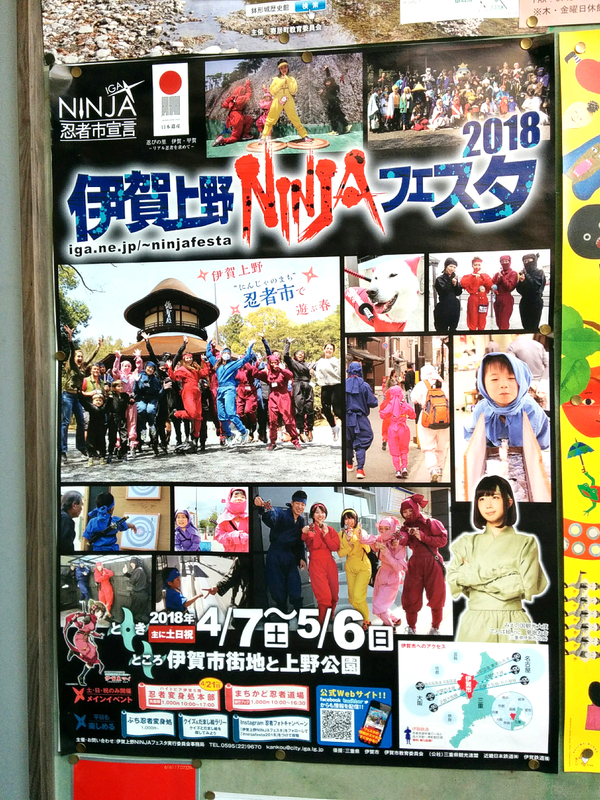 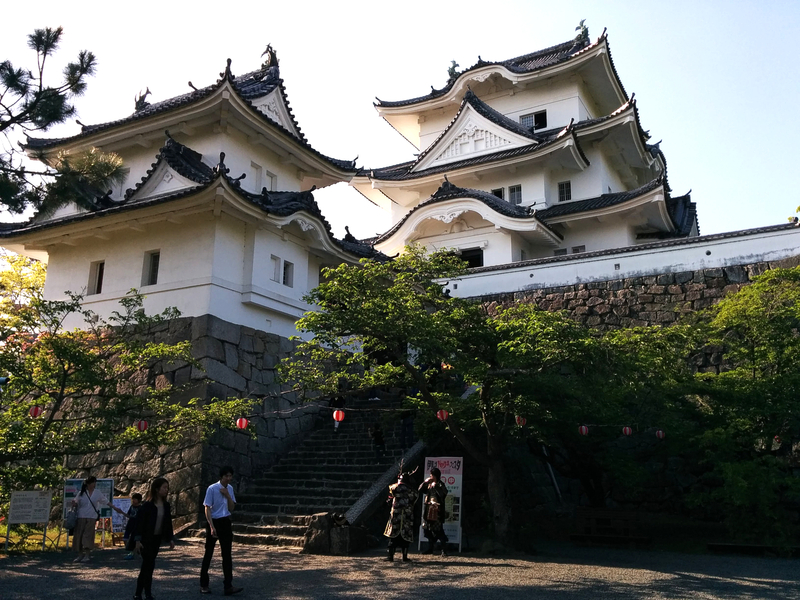 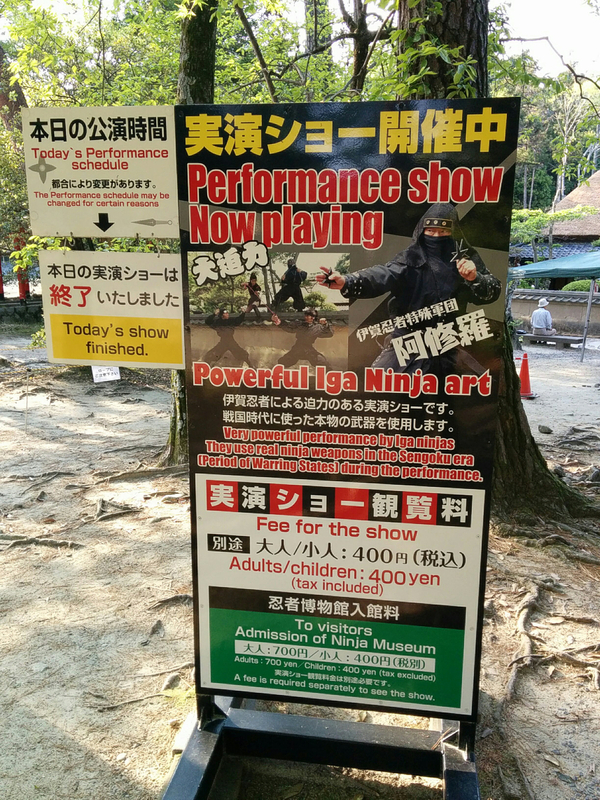 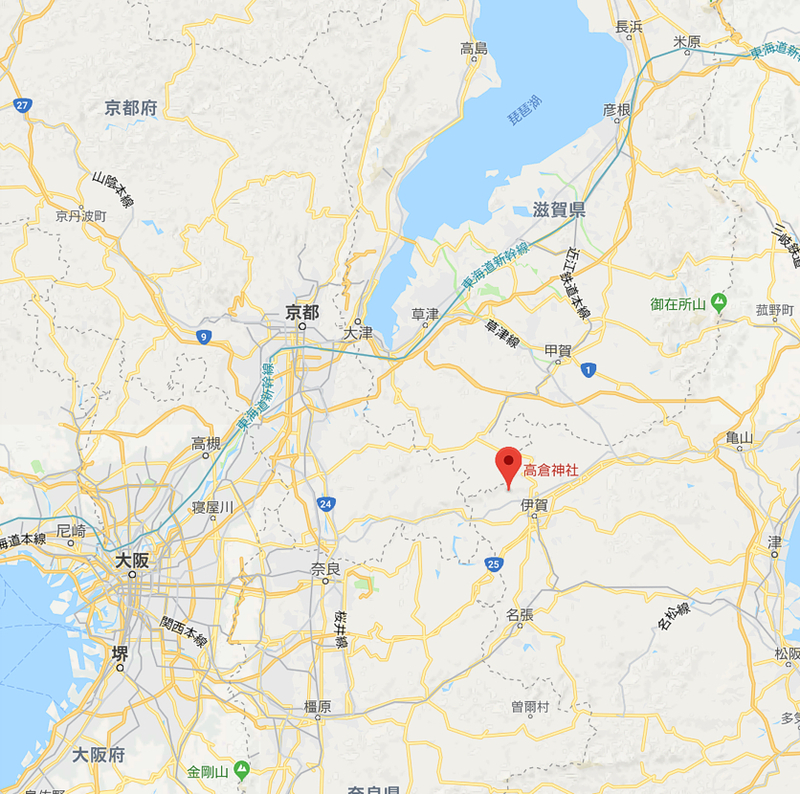 This illusion sopt is located in a ninja region Iga.